and her family all worked to set up a Christmas bookstall at Emmanuel Westbury this (and will do again next) Sunday afternoon. Great initiative. Thank you. 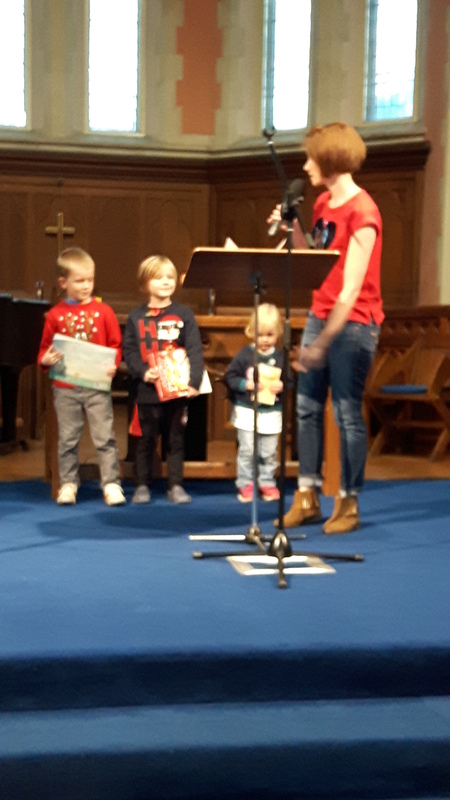 The children all bravely gave a book review up the front of Church, Kate did the selling helped by Isabel on finance, with Howard on packing and lifting. Well done guys. Looking forward to hearing how much you raise for the girls in Jinja.